A man wanted for a burglary and other offences in Hastings has been arrested and charged. Joe Nelson, 19, of no fixed address, was detained in Whitefriars Road, Hastings on Tuesday (December 12). 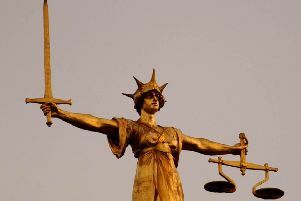 He has been charged with burglary in Exmouth Place, Hastings, taking a motor vehicle without the owner’s consent, driving while disqualified, driving without insurance, fraud by using a bank card stolen from the burglary and two counts of breaching a crown court order. Nelson who has been remanded in custody is due to appear at Hove Crown Court on Friday (December 15).